The recent book The Human Instinct by biologist Kenneth R. Miller has the subtitle How We Evolved to Have Reason, Consciousness, and Free Will. The book provides a good example of the shallow and unbelievable reasoning that orthodox biologists use to try to explain the human mind. On page 27 of the book Miller refers to the “evolutionary priesthood,” but he makes clear in his book that he wants us to believe in the dogmas of this priesthood. If you're going to confess that some doctrine is being advanced by a priesthood, and if you're going to say as Miller does on page 29 that “perhaps, as some will say, the Darwinian story is a house of cards,” then you better give good evidence to back up that priesthood's catechism. In this regard Miller is not terribly successful. His argument that humans and chimpanzees share a similar ancestor is based on some embryo and chromosome evidence that is murky indeed, at least in Miller's exposition of it. The book attempts no substantive general justification of the claim that very complex biological innovations can appear because of natural selection and random mutations, a claim for which there is still no convincing evidence. We still have no proof that any complex biological innovation ever appeared because of such things. Groups of neurons can act something like switches as well...So, speaking simplistically, neurons indeed mimic the functions of transistors, and therefore it's plausible to think of the brain as a huge collection of neural circuits in the same way that a modern computer is a similar collection of electrical circuits....The image of brain as computer is compelling enough that many have been willing to use that model to explain the workings of the brain, including thought, as phenomena completely explicable in terms of biochemistry and cell biology. Computers don't actually have consciousness, understanding or mental experiences like humans have. Computers have very clear read-write mechanisms, and a very clear permanent storage place (a hard drive), but we can't find any clear signs of such things in the brain, as it seems to have no place suitable for storing memories longer than a year, no mechanism for writing memories, and no mechanism for reading memories. Computers are deliberately designed products, but evolutionary biologists want us to believe that brains are not designed products. If computers just consisted of electrical circuits, they wouldn't be able to do anything. Computers can do some things because they have lots of deliberately designed software, something which has no counterpart in the human brain. Genes are not true software, and are certainly not anything like programs for thinking. So it seems that the “brain is a computer” comparison doesn't work well at all. On pages 131 to 134 Miller begins to address an argument made by Alfred Russel Wallace, the co-originator (along with Darwin) of the theory of natural selection. Wallace argued that natural selection is very much inadequate to account for the features and capabilities of the human mind. 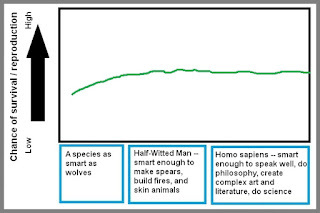 The problem is that humans have all kinds of refined capabilities that would not have done humans any good from the standpoint of natural selection, in that they would not have increased a human's likelihood of survival or reproduction in the wild. You can read Wallace's original argument here. Among the capabilities that we can list as being inexplicable from the standpoint of natural selection are spirituality, aesthestic appreciation, artistic creativity, mathematical ability, philosophical reasoning ability, refined language capabilities, curiosity, musical capabilities, wonder, insight, imagination and moral sensibilities. Read here for an extended explanation of why such things would have not increased a human's likelihood of surviving and reproducing, and are therefore not explicable from a Darwinian standpoint of natural selection. As Wallace stated, "Natural Selection could only have endowed savage man with a brain a little superior to that of an ape, whereas he actually possesses one very little inferior to that of a philosopher." Miller has an answer to such reasoning – a very weak answer. His answer is that such things are evolutionary spandrels. What is a spandrel? The term was first used in a biological context by paleontologist Stephen Jay Gould. He said that spandrels were an architectural feature in domed architecture that were never specifically designed to exist, but arose as just kind of a by-product of other features that were designed for specific reasons. He proposed that we could start using this term “spandrels” in a biological context in this way: whenever we found some feature or capability of humans that would not have been favored by natural selection, we could call that feature a spandrel, and describe it as a by-product of some other feature that would be favored by natural selection. Any comparison between architectural spandrels and human characteristics is inappropriate for an evolutionary biologist maintaining that humans are not the product of design. If you don't believe humans are the product of design, what business do you have referring to accidental products in human architecture that is a product of design? When something is plausibly explained as a by-product of something else, we can give an exact explanation of why the by-product would occur, given that something else. For example, a solar physicist could give an exact explanation of why solar flares would occasionally occur as a by-product of thermonuclear fusion in the sun; and anyone familiar with the kinetic theory of gases can explain why a scent would arise as a by-product of cooking soup. But we do not know of any neural mechanism that can explain any of the more advanced capabilities of the human mind. We know of no way in which neural activity can produce spirituality, artistic creativity, mathematical reasoning ability, insight, curiosity, philosophical reasoning ability, either directly or as a by-product of anything else. So we don't have any business claiming that such things are by-products of brain activity. Something could only be explained as a by-product of some survival-related skill if there is a close similarity between the two. For example, we might plausibly say that humans accidentally can throw baseballs accurately because such a skill is a kind of a by-product of the ability to throw rocks accurately, something cave-men needed to defend themselves from animal attacks and do certain types of hunting. But there is not the slightest relationship or similarity between things such as hunting skills or cave survival skills and philosophical reasoning, spirituality, linguistic creativity and musical ability. So things such as philosophical reasoning, spirituality, linguistic creativity and musical ability cannot be plausibly explained as by-products of something else humans needed for survival. Let's imagine some species that was rather like man but much less intelligent and with a much smaller brain. We can call this species Half-Witted Man. Let's imagine that Half-Witted Man was smart enough to build spears, make fires, and skin animals, but not smart enough to make art, make complex inventions, speak grammatically, create music, and think philosophical thoughts. 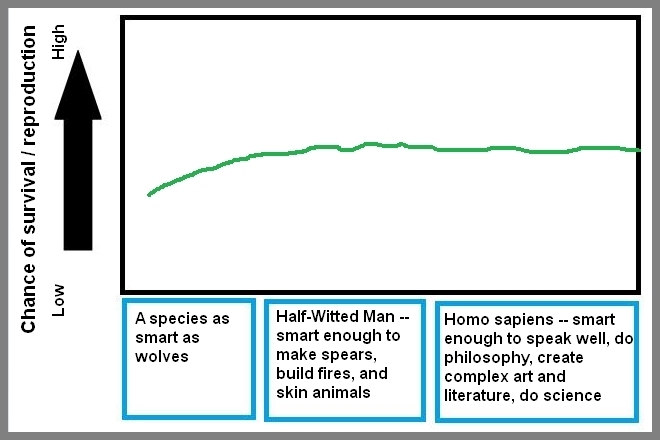 Half-Witted Man would have been just as likely to survive as Homo sapiens. A band of Half-Witted Men would have done just fine in the wild, just as packs of wolves do fine in the wild. Any small additional survival value that Homo sapiens got from its greater intelligence would have been canceled out by the fact that maternal childbirth deaths and stillborn deaths are much more common for organisms with bigger brains, as bigger heads are harder to fit through a vaginal birth canal. So there's no evolutionary or natural selection reason why there would have been a progression from Half-Witted Man to Homo sapiens. Our higher mental abilities cannot be explained as spandrels or by-products of some mental brilliance that man acquired, because there was no evolutionary or natural selection reason why such mental brilliance would have appeared. You don't need to be an Einstein to be a hunter in a pack of hunters; you only need to be as smart as a wolf. The diagram below illustrates the point. If it were true that most characteristics and abilities of the human mind were things that increased the survival value of primitive humans, this would not at all mean that we had any explanation for the appearance of such characteristics and abilities. This is because no complex innovations can ever be explained by natural selection. Because natural selection can only occur in regard to some characteristic after that characteristic has appeared, we never explain any complex innovation by appealing to natural selection. What kind of situation do we have when most mental characteristics and abilities of humans do not even increase survival value or reproduction likelihood, and thinkers like Miller must say that all such things are mere spandrels or by-products? We have a situation in which it is particularly clear that there is no merit in the pretentious claims of such persons to have explanations for our mental capabilities. In the jumble of growth and reorganization, new connections were forged that cut through the old structures. It is these connections, these new links, that account for the depth of consciousness and thought that distinguish us from other primates. But, to the contrary, neither brain cells nor connections between brain cells do anything to account for any of the higher mental aspects or mental capabilities of humans. Thoughts and consciousness are mental things and neurons are physical things. We should not expect thought or spirituality or philosophical reasoning or abstract ideas to be produced by a billion neurons that each had 1000 connections to other neurons; and we should not expect any such mental phenomena to arise even if there were a billion trillion neurons that each had a billion trillion quadrillion connections to other neurons. If any of us think that “connected brain cells” somehow yields a mental ability, it is purely because we have been conditioned to think such a silly idea. If we had always had some very different type of body, or had always lived as creatures of pure energy or pure spirit, we might think such an idea as no more credible than the idea that a bunch of trees all connected by roots can give rise to advanced thinking. On page 135 to 137 Miller suggests that “spandrels” can explain the origin of language, noting that this view is “enormously controversial” among linguists and anthropologists. His thinking again is along the lines of: we got bigger brains to hunt better and survive better in the wild, and then we got all this stuff like language as incidental by-products of bigger brains. Trying to explain the origin of language in such a way is particularly implausible, because the origin of language requires three things that are much more than just higher thinking abilities. For one thing, you must explain the establishment of the language itself (its vocabulary and grammar rules), which is pretty much impossible given that you would need to have a language first in order to establish a language among a large group of people, so that all such people started using the same grammar rules and the same vocabulary. Secondly, spoken language requires many language-specific features of the human larynx, pharynx and vocal tract, and such things would not at all appear as incidental by-products of a larger brain. Third, spoken language requires a great deal of specialization in the brain for making the very subtle muscle movements needed for spoken speech. So if an organism merely becomes as intelligent as a human, it would still lack three things it needed for speech. So we cannot at all explain the origin of language merely by saying it was a by-product or spandrel of man's higher intellect. Miller quotes approvingly on page 141 an argument for the claim that the brain is like a computer. The argument he quotes goes like this: humans can surely compute, because you can add numbers, so the brain must be like a computer. This argument is entirely fallacious, for while we know that humans can add numbers, we do not at all know that brains are doing such a thing. All higher thought could be product of a human soul rather than the human brain. Life, as we have come to understand it, is a collective property of many atoms and molecules. In very much the same way, thought is the collective property of millions, no, of billions of neurons. Such reasoning is fallacious. A property is a single simple characteristic of something that can be expressed as a single number. Width, depth, height, mass and hardness are all legitimate examples of properties (the hardness of an object is measured on the numerical Mohs scale). But neither life nor thought are properties. Underestimating its complexity, we can say life is an incredibly complicated state of organization. That is not a single simple characteristic that can be expressed by a number. As for thought, it also is not a simple characteristic, cannot be expressed by a number, and is not a property. The object called Oumuamua is an unusual object that entered the solar system last year. Two Harvard scientists (Abraham Loeb and Shmuel Bialy) have written a paper speculating that the object might have been a probe designed by extraterrestrials. This paper has triggered much coverage in the popular press. But is there any strong reason for thinking that Oumuamua was an extraterrestrial probe? So Oumuamua may be only five times longer than its width, which would make it merely pickle-shaped rather than cigar-shaped. A pickle-shaped object is not particularly strange, and many asteroids and comets have such a shape. As for the statement that “its brightness owing to reflected sunlight varied by a factor of 10 as it rotated periodically every eight hours,” that indicates the kind of rotation that you would have if a bottle-shaped object were to be continually spinning around like a bottle that was spun around on the floor in the teenager's game “spin the bottle.” That type of rotation (which the wikipedia.org article on Oumuamua describes as a "tumbling" motion) is what we would expect from a natural object, but we would not expect it from an extraterrestrial probe. An extraterrestrial probe would almost certainly keep pointing in the same direction, so that its propulsion system would stay pointed in a single direction. When the US sends space probes to Mars, they keep pointing in the same direction so that their rockets can keep thrusting in a particular direction. Such probes don't tumble or spin around like a bottle spinning on the floor. In his Scientific American article, Loeb tries to make Oumuamua sound as strange as he can make it sound. He refers to some paper he co-authored years ago calculating that the chance of a comet from another solar system being detected by a modern space telescope was between .001% and 1%. But that's not a very compelling consideration, as the calculations in the paper were extremely complicated and largely speculative, and could have gone wrong in any number of places. Moreover, something isn't terribly improbable if it has a likelihood of 1%. 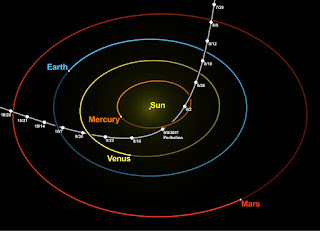 The small discrepancy involving Oumuamua's trajectory can easily be explained as a measurement error, an interpretation error or a calculation error. 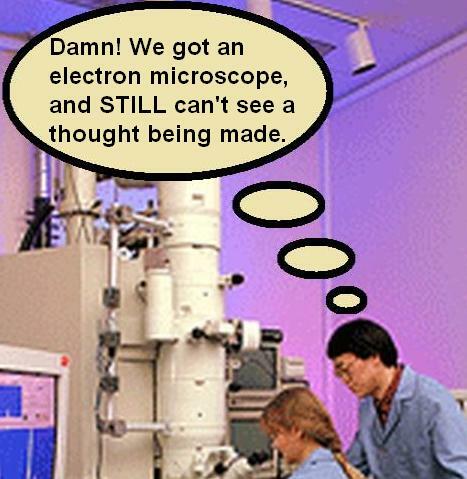 Such things occur all the time in the world of science. Another explanation is that there was some outgassing from Oumuamua, such as a water vapor emission caused by it moving closer to the sun. Loeb attempts to argue that if Oumuamua was ourgassing, it would have had a cometary tail that was not observed. But this is not a strong argument, as the object could have had enough outgassing to explain the slight trajectory anomaly, but not enough outgassing for the object to have produced a cometary tail big enough to be detected. And how can Loeb be arguing from a non-detection of a comet tail, after he has admitted that a photo of Oumuamua does not exist? There is a powerful reason for rejecting the idea that Oumuamua was an extraterrestrial probe: the fact that the object came nowhere close to Earth. It seems likely that any deliberately designed extraterrestrial probe would have sufficient technical skill to move towards any Earth-like planet in a solar system it was entering. 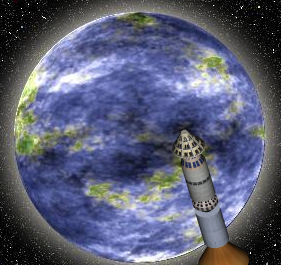 Building a probe capable of traveling between stars would require a technology far beyond ours, and for a technology so advanced it would be easy to program a probe so that it could move in for a closeup look on any Earth-like planet that it found in a solar system it entered. But there is no sign that Oumuamua changed its path to get a closer look at our planet, and Oumuamua came no closer than 15 million miles to Earth. 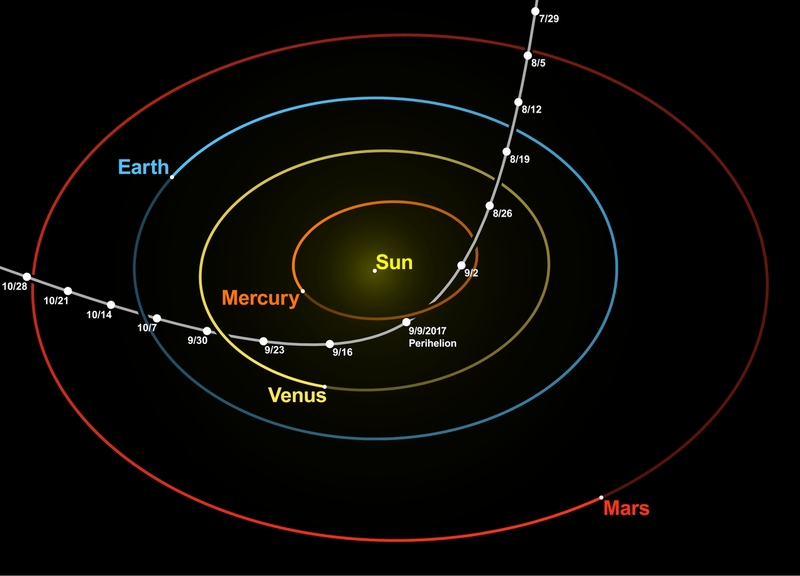 So both because of its "spin the bottle" spinning motion and because of its failure to move closer to Earth, it seems that Oumuamua did not act the way an extraterrestrial probe would have acted. Astronomers made very sensitive checks of radio signals from Oumuamua, and found none. A probe from another planet would presumably be sending such signals to report back to its home planet what it found. If we are to believe in the claim that brains store human memories, we must have a credible account of four things: encoding, neural storage of very old memories, the instantaneous formation of memories, and the instantaneous retrieval of memories. The theory that human memories are stored in the brain fails in regard to each of these things. There exists no plausible theory as to how a brain could store memories lasting for 50 years, but we know humans can remember many things for that long. The most popular idea of brain memory storage claims that memories are stored in synapses, but the proteins in synapses have an average lifetime of less than two weeks, meaning such a theory falls short by a factor of 1000 when it comes to explaining memories that persist for 50 years. As for memory retrieval, there is no theory explaining how humans could possibly recall instantly things they learned many years ago, and haven't thought about in years. You may hear the name of some obscure historical or cultural figure you learned about decades ago, and haven't heard about or thought about since that time. You may then instantly recall something about that person. But if that memory was stored somewhere in your brain, how could you instantly find the exact little location where that memory was? Doing that (for example, instantly finding a memory in storage spot 834,220 out of 1,200,000) would be like instantly finding a needle in a mountain-sized haystack. If a brain had an indexing system, or a coordinate system, or a neuron numbering system, there might be a faint hope for explaining instantaneous memory retrieval; but the brain has no such things. As for the instantaneous formation of memories, there is no theory that can account for it in a brain. The prevailing theory that memories are stored by synapse strengthening (which would involve protein synthesis requiring minutes) fails to account for memories that humans can form instantly. How could all of these very different types of information ever be translated into neural states so that a brain could store them? Our neuroscientists have told us again and again that the brain does such an encoding, but there is no real evidence that any such thing takes place. What we have evidence for is merely evidence that humans remember things. If you are someone who believes that memories are physically stored in brains, then you may claim that memory encoding occurred at such and such a rate whenever you observe people learning something at such and such a rate. But merely observing evidence of learning or memory is not acquiring any actual evidence that encoding has occurred. There remains the possibility that our memories are not stored as neural states, the possibility that our repository of memory is some spiritual or psychic facility that is non-neural and non-biological. Such a possibility should not seem remote when we consider that there is no workable theory as to how learned knowledge and experiences could be encoded so that they might be stored in a brain. No matter what theory we may create to account for the encoding of learned knowledge and episodic experience so that they can be stored in a brain, such a theory will always end up sounding ridiculous after we examine the theory in detail and consider its requirements and shortcomings. Let's look at some possibilities, and why they fail. If memory worked in such a way, we would surely have already discovered such easily-recognizable memory traces. But no such things have been seen, even though a great deal of human neural tissue has been examined at very high magnification. When we look at brain tissue at the highest magnification, we see no tiny little letters or tiny little images of animals, cars, and persons. For a brain to be able to write words that we memorized in this type of direct manner, it would seem that the brain would need some very precise write mechanism, capable of forming the exact characters of the alphabet in brain tissue; but no such brain capability is known to exist. It seems that if such a theory were true, recalling some words would be like reading. But recalling words is almost never like reading, and we don't see in our mind's eye some stream of letters as we recall some words we memorized. For a brain to be able to read words that we memorized in this type of direct manner, it would seem that the brain would need some very precise reading mechanism, capable of reading the exact characters of the alphabet stored in very tiny letters written in brain tissue; but no such thing is known to exist. We don't have tiny little “micro-eyes” in our brains that might allow us to read tiny microscopic letters stored in our brains. Now, let's consider a different theory of memory encoding – the idea that instead of directly storing words and images (so that we could directly read the words and directly see the images), the brain uses some type of unknown coding or translation protocols. For example, it could conceivably be that words that we learn are somehow translated into proteins or chemicals or electrical states, using some as-of-yet undiscovered translation scheme. Such a scheme might work a little like the Morse code, in which particular letters are translated into some sequence of dots, dashes, or dots and dashes. Some particular arrangement of atoms, chemicals or electricity might work like a dot in the Morse code, and some other particular arrangement of atoms, chemicals or electricity might work like a dash in the Morse code. There is one giant problem with such a theory. All of the languages that we use are fairly recent innovations, having been created in only the last few percent of the time that humans have existed. For example, back in the Roman Empire people used Latin, but the English we use today has only been in use for less than 1200 years. The alphabet used for English is less than 1000 years old, and its alphabetic predecessor (the Latin alphabet) is only a few thousand years old. It is generally acknowledged even by Darwinism enthusiasts that very complex evolutionary innovations cannot arise in only a few centuries of time or a few thousand years. So we could never explain how the brain could naturally possess some elaborate translation system based on such a relatively recent innovation as the English language and the English alphabet. Scientists strain our credulity whenever they talk about novel functional genes accidentally appearing even over the course of a million years. Think, then, on how much greater a problem there would be in explaining how hundreds of novel functional genes could have appeared in less than 3000 years, to perform some translation operation involving characters and words that have existed for less than 3000 years. To assume such a thing would be to assume evolution working thousands of times faster than the rate we would predict from known mutation rates. There is also no evidence that any such great burst of genetic novelty has occurred. Although the half-life of DNA is 512 years, we have enough samples of human DNA from ancient Rome and ancient Egypt to know that there has been no big change in the DNA of humans during the past 3000 years. So it seems impossible that there could be any genetic capability (arising in the past few thousand years) that would allow humans to neurally store information using some encoding mechanism specifically tailored to the letters and words of the English language that have existed for less than 3000 years. Another difficulty with the theory of encoding just mentioned is that if it existed, we would see big differences in the genes of people who spoke different languages. According to such a theory, we would expect that Chinese people would have one group of genes corresponding to proteins or RNA molecules needed to translate Chinese words into neural states, and that English speaking people would have some other quite different set of genes corresponding to proteins or RNA molecules needed to translate English words into neural states (particularly since the Chinese language and alphabet is so different from the English language and alphabet). But there exists no such difference in the genes of Chinese speaking people and English speaking people. 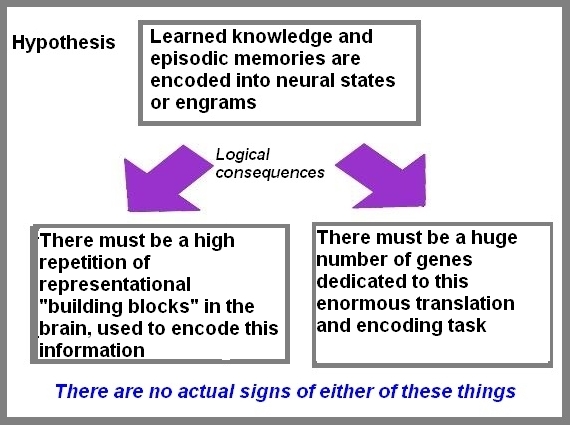 There is also the difficulty, discussed more fully in the conclusion of this post, that there is no sign in the human genome that any such genes exist for performing such an elaborate operation of encoding human learned knowledge and episodic experience so that it can be stored in neurons or synapses (and there would need to be many hundreds or thousands of genes dedicated to performing such a task if it was done). Now, let's consider a theory of memory encoding that perhaps the words we memorize and the images we remember are stored in binary format. We know that computers store information in binary format, so when it is suggested that the brain may use a similar format, this may sound reasonable to the average person (although it isn't, a brain being radically different from an electronic computer). 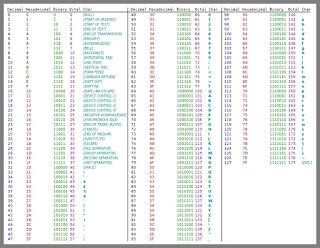 First individual letters in the words are converted into decimal numbers (such as 13, 19, and 23) using a particular translation table called the ASCII code. 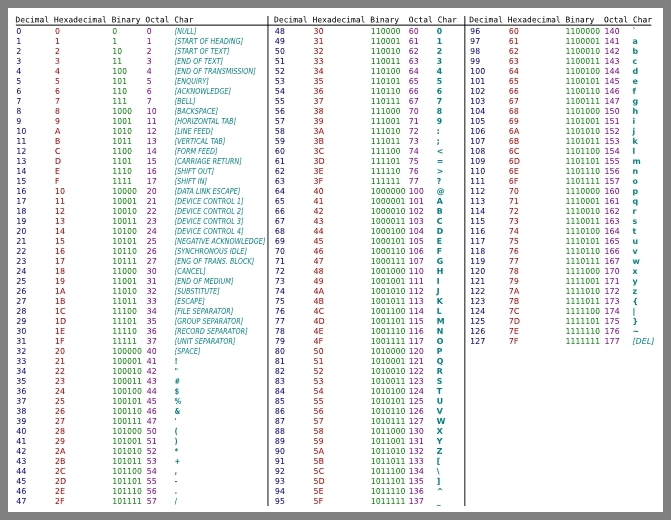 Then, those numbers are converted from decimal to binary using a decimal-to-binary conversion routine. So if we are to believe that the brain does binary encoding like a computer, we would need to believe that built into the brain on a low level is some type of translation scheme like the one below, a scheme in which letters are translated into decimal numbers. In addition, we would also have to believe that the brain has some kind of capability to translate the numbers in such a system into binary numbers. Alternately, we could believe that the brain has a scheme for directly translating characters into binary, but the overall complexity of such a translation mechanism would be every bit as great as a system in which characters are converted into decimal, and then into binary. If memory worked in such a way, we would surely have already discovered such easily-recognizable memory traces. We would have discovered tiny little traces in the brain that resemble binary coding. But no such things have been seen, even though a great deal of neural tissue has been examined at very high magnification. For a brain to be able to write words that were memorized in this type of direct manner, it would seem that the brain would need some very precise write mechanism, capable of writing binary traces; but no such thing is known to exist. For a brain to be able to read words that we memorized in this type of direct manner, it would seem that the brain would need some very precise reading mechanism, capable of reading in binary; but no such thing is known to exist. Since the alphabets of human languages are only a few thousand years old, there would have been no time for the human body to have evolved some complex biological mechanism capable of converting specific alphabetic characters to binary. We can imagine no way in which a brain could achieve the translation effect in which words are translated into binary. As far as we know, there is nothing anything like an ASCII table in your brain, nor is there anything like a facility for translating English letters directly into binary, nor is there anything like a facility for translating English letters into decimal, and then translating decimal numbers into binary. There are no genes in the genome that perform such tasks. Now, let's consider a whole different theory. It could be that instead of storing words that you memorized, a brain might store the sensations that occurred when you memorized something. So imagine I open up a copy of Vogue magazine, and read an ad saying, “You'll feel fresher than the morning dew.” If I memorize that slogan, it might be that my brain is storing the electrical or chemical activity in my brain when I saw that slogan. And if I hear on the radio some advertising slogan of “We'll build your wealth sky-high,” and memorize that, it could be that my brain is storing something corresponding to the electrical and chemical activity in my brain when I heard such a slogan. One reason for doubting this theory of memory encoding is that perceptions involve large parts of the brain, and it is hard to imagine that sensations involving large fractions of the brain could be stored in a tiny part of the brain. Since our minds store many thousands or millions of visual memories, if we are to believe that memories are stored in brains, we would have to believe that each stored memory uses only a tiny portion of the brain. But my current visual sensations require the involvement of a large fraction of the occipital lobes of the brain – probably many cubic centimeters. But we cannot plausibly imagine that the brain simply dumps the chemical or electrical contents of those cubic centimeters into some memory that took up only a tiny space on my brain, a millionth or less. It would seem, therefore, that if the brain simply dumped your visual and auditory sensations into memory, that it would require a space vastly bigger than itself to store all the memories we have of things we have seen and heard. Another difficulty in the “memories are sensation dumps” idea is that there is no evidence of any mechanism for copying information from one part of the brain to another. Let's imagine that when a memory forms, the state of your occipital lobes (involved in vision) is copied to some point on the cortex where the memory is stored. That would require some biological functionality for copying the state of one large part of the brain to another part of the brain; but we know of no such functionality. It is easy to think of another big reason for doubting such a theory. It is that if our brains were to be storing something corresponding to sensations, we would expect that when we remembered words, we would remember something visual, with a characteristic font or color, or something auditory, with a characteristic sound. But while that sometimes happens, in almost all cases it does not work that way. For example, if I remember the words, “Here's looking at you, kid,” I do remember a very specific audio sound, the distinctive sound of Humphrey Bogart saying that in the movie Casablanca. And if I remember the phrase “Men walk on moon,” I do remember a specific font, the font used in the famous New York Times headline of the Apollo 11 lunar mission. But a very large fraction of my memories do not have specific visual or audio characteristics. For example, if someone asks, “What is the lightest particle in an atom?” I may reply, “The electron is the lightest particle in the atom.” But that memory I have recalled does not have any specific sound or sight associated with it. I don't hear the answer in someone's voice, and I do not see the answer as words in any particular font or color. And if someone asks me, “What is your birthday?” I will remember a particular day. But I will not see in my mind's eye some date written in a particular font and having some particular color, nor will I hear in my mind's ear some particular type of voice stating the answer. For almost all of my knowledge memories, the same thing is true: when I recall the memory, I don't see something that appears with some particular visual appearance, nor do I hear something that has some particular sound. It seems this would not be the case if the brain was storing my memories by storing visual and auditory sensations. It is also true that I can memorize something that does not correspond to any particular visual or auditory sensation I had. For example, I can visualize some imaginary thing such as a giant purple elephant. If I think about this imaginary thing enough times, it will become a permanent memory. But this imaginary thing I have memorized does not correspond to any sensation I had. In this case I never saw a giant purple elephant. So it cannot be that my memory of the giant purple elephant was formed from sensations that I had of such a thing. Similarly, a fiction writer can dream up on Tuesday an idea for a short story, and then write that short story on Wednesday, using the memory he formed on Tuesday. But the memory will not correspond to any visual or auditory sensations he had. It seems that we therefore cannot explain memories as merely being a storage of sensations that we had at some time when we learned something. You learned many thousands of things in school, but when you remember such knowledge, you virtually never remember the sight and sound of your school teacher teaching you such things or the sight of you reading a book telling you such things (as you would if your memory of learned knowledge was just a dump of the sensations you had when you learned such things). I have reviewed some of the theories that could be used to account for the encoding of learned information as neural states. There are strong reasons for rejecting each such theory. It seems it is impossible to present a specific theory of memory encoding that stands up to scrutiny as a reasonable possibility. But the article fails to discuss any specific theory discussing how such a conversion would work. The article has all kinds of digressions and tangential information, but nowhere does it advance a single specific idea of how learned information (such as a learned sequence of words) could be translated into neural states when a memory was stored in a brain. An article on a memory experiment states, "Press a scientist to tell you how memories are encoded and decoded in the brain, and you’ll soon find that the scientific community doesn’t have an answer." High repetition of representational building blocks. Whenever encoded information is stored, there is a repetition of two or more things we can call representational building blocks or representational atoms. In binary encoding these representational building blocks are the 1's and 0's or their electromagnetic equivalent. In alphabetic encoding, the representational building blocks are the letters of the alphabetic. In DNA the representational building blocks are the four types of nucleotide base pairs that are repeated over and again. In Morse code, the representational building blocks are dots and dashes. 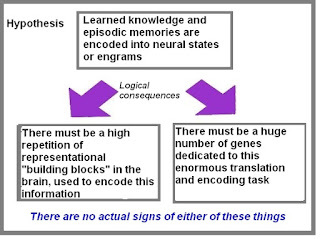 Even if you don't know the system of encoding that was used, it is easy to detect that encoded information is present, by seeing a high repetition of representational building blocks. If brains stored memories encoded into neural states, we would see a gigantic degree of repetition of some type of representational building blocks. Genes dedicated to memory encoding. If human brains were to actually be translating thoughts and sensory experiences so that they can be stored as memory traces, such a gigantic job would require a huge number of genes – many times more than the 500 or so genes that are used for the very simple encoding job of translating DNA nucleotide base pairs into amino acids. There is no sign at all of either of these things in the brain. We absolutely do not see anything like very highly repeated representational building blocks in the brain that might be the footprints of encoded memory information. And we see no sign of any such memory encoding genes in the human genome. There is a study that claims to have found possible evidence of memory encoding genes, but its methodology is ridiculous, and involved the absurd procedure of looking for weak correlations between a set of data extracted from one group of people and another set of data retrieved from an entirely different group of people. See the end of this post for reasons we can't take the study as good evidence of anything. There is not one single gene that a scientist can point to and say, “I am sure this gene is involved in memory encoding, and I can explain exactly how it works to help translate human knowledge or experience into engrams or memory traces.” But if human memories were actually stored in brains, there would have to be thousands of such genes. There is an additional general difficulty involved in the idea that brains encode our episodic experiences and learned knowledge as neural states. It is that if the brain did such a thing, it would require a translation facility so marvelous that it would be a “miracle of design,” something that we would never expect to ever appear by unguided evolution. Yet another problem is that if brains encoded learned knowledge and episodic experiences into engrams or memory traces, then forming new memories would be slow, and retrieving memories would be slow -- for whenever we formed a new memory, all kinds of translation work and encoding would have to be done (which would take a while), and whenever we retrieved a stored memory, all kinds of decoding work would have to be done (which would take a while). But instead humans can form memories instantly and retrieve memories instantly, much faster than things would work if all this encoding and decoding work had to be done. What has been discussed here is only a small fraction of the very large case for thinking that human cognition and memory must be some psychic or spiritual reality rather than a biological or neural reality. Let's imagine a boy who thinks that his mother will give him a pony for Christmas. December 25th comes, and the boy searches everywhere around his house and yard; but there's no pony. On December 28th, having spent several more days looking for such a pony without success, the boy says, "There must be a pony around here somewhere." We may compare this boy to the modern neuroscientist who believes there are brain engrams that encode our learned knowledge, but who still hasn't found such things, despite decades of searching. He says to himself, "They must be somewhere in the brain." But if they existed, they would have been found long ago. There is microscopic encoded information in DNA (specifying the amino acids in proteins). Unmistakable evidence of that was discovered around 1950. Why would it possibly be that we would have failed to discover encoded memory information in a brain by the year 2018, if such information actually existed in brains? It would be as easy to find as the genetic information in DNA. We can use the term “paranormal denialist” for people such as Michael Shermer who deny all the mountainous evidence for paranormal phenomena. 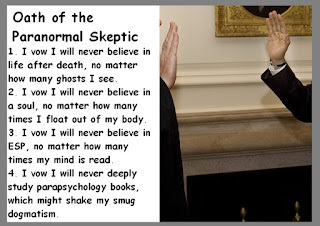 The paranormal denialist is a very inconsistent creature. On one hand, such a person will show complete credulity and child-like trust towards the far-fetched dogmas of materialism, and towards dubious and weak evidence cited in support of such dogmas. On the other hand, such a person will show unvarying skepticism towards a huge variety of compelling observations that contradict such dogmas. You may compare a paranormal denialist to a neighbor you might have who heartily supports a website claiming to sell “Martian real estate,” but who can never be persuaded to go with you to a baseball game because he's too skeptical that he'll ever see the local team winning. The soul has been traditionally conceived as a separate entity (“soul stuff”) from the body – but neuroscience has demonstrated that the mind – consciousness, memory, and the sense of self representing “you” – cannot exist without a brain. When portions of the brain die as a result of injury, stroke or Alzheimer's – the corresponding functions of the brain dies with them. Neuroscientists can predict human choices from brain scan activity before the subject is even consciously aware of the decisions made. Using brain scans alone, neuroscientists have even been able to reconstruct on a computer screen what someone is seeing. Brain activity = conscious experience. The first claim (which Shermer provides no example to prove) is false. Neuroscientists cannot predict what choices people will make from brain scan activity. The second (probably exaggerated) claim (which Shermer also provides no examples to support) is irrelevant. No one disputes that the brain has an involvement in vision. If a brain scientist had some way to deduce what you were seeing from looking at your brain, that would merely confirm the brain's involvement in visual perception, which no one disputes. But such a feat would be nothing like figuring out what you were thinking of or imagining by looking at your brain. No neuroscientist has ever done any such thing, although you will occasionally read a misleading news story claiming a “mind reading bran scan.” Such hyped-up stories are actually about brain scans of visual perception rather than brain scans of pure thought or imagination in people with closed eyes. As for Shermer's claim that “brain activity = conscious experience,” that equation is unproven and unbelievable. Conscious experience is mental, and brain activity is physical. Physical things don't equal mental things. Shermer looks at evidence for life-after-death, and his scholarship on this topic is very slight. A reader may get the suspicion that he has got all his information purely from negative sources such as the absurdly biased pages of wikipedia.org and the books of other paranormal denialists. 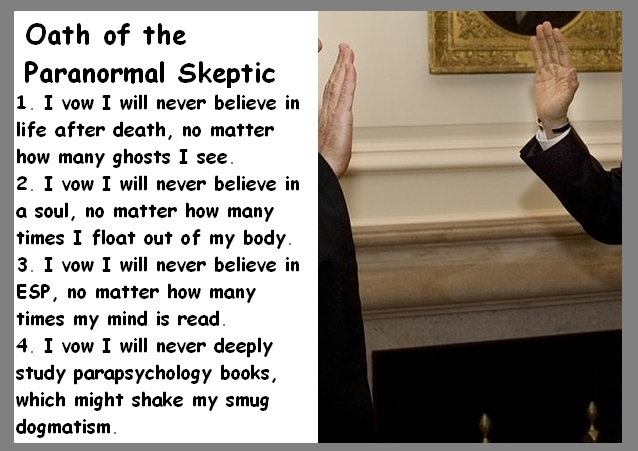 He shows no real signs of having carefully studied any of the countless books that have been written presenting evidence for life after death or paranormal phenomena. People who have read books on a topic they are writing about tend to quote passages from such books (which may or may not be for the sake of criticizing what the book said). We find virtually no quotations from Shermer suggesting he has read any of the 100 books he should have carefully read before criticizing evidence for the paranormal or life after death. Discussing near-death experiences, Shermer mentions the well-known case called “Maria's shoe,” in which a hospital patient said that she had floated out of her body and seen a red shoe on a hospital ledge several floors higher than her current position, a shoe that a hospital worker verified was in the specified place. Shermer does not mention details of any other similar case, and a reader of Shermer's book might think that this “Maria's shoe” case was just a one-of-a-kind freak report. In fact, there have been many similar cases, in which those having near-death experiences reported seeing or hearing things they absolutely should have been unable to see or hear, either because of unconsciousness or observational impossibility from their bodies. You can read about dozens of such cases here. Shermer mentions the major study on near-death experiences led by Sam Parnia. Shermer tells us that only one of the people in Parnia's study reported an out-of-body experience. But that's not correct, because out of 101 people in that study who reported a close encounter with death, 13% answered “Yes” to the question, “Did you feel separated from your body,” and two of them reported very detailed dramatic out-of-body experiences. Shermer refers to a patient in the Parnia study who recounted the efforts of medical personnel to revive him while his heart was stopped and he was unconscious. Shermer suggests that the patient could have guessed the details because he had seen TV shows in which people revive patients during cardiac arrest. But the details were too specific for guesswork to be a possibility. The man accurately described specific details of the revival efforts, including the presence of a bald fat man with a blue hat, a nurse saying, “Dial 444 cardiac arrest,” his blood pressure being taken, a nurse pumping on his chest, a doctor sticking something down his throat, and blood gases and blood sugar levels being taken. On page 92-93 Shermer attempts to explain away near-death experiences by raising some possible explanations, none of which are relevant. He points out that if you take psychedelics it can be rather like a near-death experience. That's irrelevant, because 99% of the people having near-death experiences didn't take such drugs before their experiences. On page 93 and page 95 Shermer mentions experiments done by Olaf Blanke in which he electrically stimulated parts of the brains to produce hallucinations. This is completely irrelevant because people who have near-death experiences are not having their brains electrically stimulated when they have such experiences. Shermer fails to debunk near-death experiences, and his proposed explanations (such as hallucinations) collapse when we simply consider that near-death experiences typically occur not in normally conscious people who might be hallucinating but in people who should be deeply unconscious because their brains have electrically shut down, as the brain quickly does very soon after cardiac arrest. A classic case of that is the Pam Reynolds case, in which a woman with a radically depleted blood supply and very low body temperature reported details of her drastic medical operation she should have been absolutely unable to report. Shermer makes no mention of the case. On page 96 Shermer ends his discussion of near-death experiences with the vary lame argument that since such experiences “vary considerably” that they are “exactly what we would expect if they were the product of the inner workings of the brain” (to cite a quote of someone that he cites approvingly). To the contrary, the extremely strong amount of recurrence and similarities in near-death experiences (in which a large fraction of people report floating out of their bodies, passing through tunnels, or encountering a "being of light") is exactly not what we would expect if they were hallucinations, which would produce content as dissimilar and random as the dreams of different people or the hallucinations of schizophrenics. Shermer then moves on to a discussion of the evidence for reincarnation. Here the principal evidence is the very weighty evidence compiled over decades by psychiatrist Ian Stevenson. Shermer shows no evidence of actually having read or studied Stevenson's massive 2268-page two volume work on cases suggesting reincarnation (entitled Reincarnation and Biology), and does not specifically mention any of Stevenson's cases. He does nothing to discredit such cases as evidence for reincarnation (merely citing some other person who made weak general objections to the birthmark element of such cases). Shermer only attempts to debunk one specific case of a claimed past-life recollection; and here he fails to discredit the evidence. The case he picks to discuss is that of James Leininger, who claimed as a very young boy to have been a pilot named James who had his plane shot down. He said he had flown the plane from a “boat” called Natoma, near Iwo Jima. Inquiries by his father found that there was an aircraft carrier called Natoma Bay which did operations in World War II near Iwo Jima, and that it did have a pilot named James Huston, Jr. who was killed when his plane was shot down near Iwo Jima. Shermer's attempt to debunk this case fails. He suggests that the child got the idea for the story while visiting a war museum, which hardly makes sense given that the visit happened when the child was only 22 months old and unable to read. He also lamely complains that “Natoma Bay” is not an exact match for “Natoma.” The case still stands as modest evidence in support of either reincarnation or contact with the dead. And this case is not one of the 30 best cases in support of reincarnation, all of which Shermer ignores (a case such as the famous Shanti Devi case and the best of Stevenson's “matching birthmark” cases being far more powerful as evidence). So in regard to reincarnation evidence, the one case of alleged reincarnation Shermer chooses to debunk is one he is not even able to debunk very well. Around page 109 Shermer begins to discuss mediums. He shows no evidence of having read anything on the massive historical evidence for paranormal phenomena produced when mediums were present. A large amount of this evidence involves inexplicable physical phenomena. Such inexplicable physical phenomena have been very often observed under controlled scientific conditions that precluded any possibility of fraud. Examples are dramatic paranormal phenomena produced by Daniel Dunglas Home while being investigated at length by the scientist William Crookes, one of the most distinguished scientists of his day (his account is here); extremely dramatic paranormal phenomena very often produced by Eusapia Palladino in front of scientists who were restricting her limbs to prevent fraud; and a host of dramatic paranormal phenomena produced by Indridi Indridason while being investigated under controlled conditions by some of the top scientific and medical men in Iceland. Shermer does not inform his readers of any such cases. He speaks as if medium phenomena are purely an information phenomena, in which mediums seem to know things they shouldn't. His explanation is the quite vacuous explanation of “cold reading.” Cold reading simply means asking questions, guessing and making general statements that might apply to large numbers of people. That's an empty non-explanation for cases in which someone repeatedly seems to show knowledge that could not have been obtained by natural means. Shermer provides no evidence that cold reading can produce anything more than the very weak results we would expect to get from someone asking questions, guessing and speaking in generalities. He claims on page 110 that in some 2002 TV episode he tried cold reading and people said he was “eerily accurate,” but when I try the URL his book gives as something to support this claim, I only get a dead link, a URL that goes nowhere. Mediums are still a subject of serious scientific research. Shermer discusses such research only by mentioning someone else's critique of a 2002 book by Gary Schwartz. He make no mention of the main scientific research done on mediums in the past 15 years, done at the Windbridge Institute. Peer-reviewed research on mediums published by the leader of this institute (Julie Beischel PhD) produces evidence of strongly anomalous effects that cannot at all be explained by Shermer's empty “cold reading” hypothesis. Of course, we hear from Shermer no mention of a case such as that of Leonora Piper. In this case a person who was extremely skeptical about mediums (Richard Hodgson) came in to investigate Piper, hoping to expose her as a cheat. After spending a very long time investigating her, he became quite convinced that she was actually receiving messages from the dead. He published a 168 report on his findings, and later published a 300 page follow-up report. Several other very thorough and serious investigators of Piper became convinced that paranormal phenomena were occurring. The case of Leonora Piper is one that cannot be plausibly explained by trickery or “cold reading.” Gladys Osborne Leonard was another medium who held up very well to long investigations by scientists and serious researchers. Her many successes in providing information that should have been unknowable to her is something that cannot at all be explained by trickery or cold reading. We can only wonder whether the omission of such cases (and countless other relevant cases) from Shermer's book is because of a poor scholarship of his subject matter, or a matter of deliberately censoring relevant information, for the sake of keeping readers in a carefully filtered information bubble. There are types of evidence for paranormal phenomena very relevant to life-after-death that Shermer says virtually nothing about. He fails to discuss or debunk the well-documented phenomena of deathbed visions (something different from near-death experiences), and says scarcely a word about apparition sightings or the fact that a large percentage of widows report experiencing evidence of contact with their deceased spouses. The index of his book has no entry for either “ghosts” or “apparitions.” He also fails to make any substantive mention of ESP, a phenomena for which there is massive experimental evidence, evidence so strong that it makes a mockery of his claim that the paranormal doesn't really exist. Other than speaking to a boy who claimed past-live experiences at a young age (at a time when the boy was much older and had forgotten such early memories), and other than speaking to people he was on television shows or debates with, Shermer seems to show in this book no evidence of having personally spoken face-to-face with anyone who claimed a paranormal experience. Lack of legwork can be excused, but there's no excuse for writing a book about evidence for the paranormal, and failing to deeply research the evidence for that topic, when such evidence is so readily available to anyone with an Internet connection and access to a large public library. At one point Shermer reminds us of the heavy molecular turnover in the body. He tells us that molecules in our bodies are constantly being replaced. He seems to be arguing along the lines of: you don't really have the same body you had a few years ago, so what makes you think you have an immortal soul? He fails completely to see how the very fact of rapid molecular turnover argues for life-after-death rather than against it. It is true that there is heavy molecular turnover in the body, and part of this is that the protein molecules in our synapses have average lifetimes of only a few weeks or less. But humans can remember many things reliably for 50 years. How could that be if the very place that scientists claim your memories are stored (synapses) are such ever-changing “shifting sands” lacking any stability? The answer would seem to be that our memories exist not in ever-changing synapses, but in some stable substrate such as a human soul. Two other books suggesting that paranormal denialists don't do their homework is James Alcock's recent book on the paranormal (reviewed here), and Clay Routledge's recent book Supernatural. Routledge takes the approach of refusing to discuss any of the massive evidence for the paranormal, and pretending that people believe in it only for psychological reasons. Such an approach is a convenient excuse for lazily failing to read any of the relevant evidence literature. Neuroscientists frequently claim that minds come from brains. But this claim is simply a speech custom of neuroscientists rather than anything they have established through observations or experiments. When people attempt to produce evidence to back up their claim that minds are made by brains, such attempts do not hold up well to critical scrutiny. A recent such attempt was a long review article in "The Scientist" magazine, one entitled “The Biological Roots of Intelligence.” Let's look at why this article by Shawna Williams fails to establish the claim that your thinking is produced by your brain. Children in Japan, for example, gained an average of 20 points on a test known as the Wechsler Intelligence Scale for Children between 1951 and 1975. In France, the average 18-year-old man performed 25 points better on a reasoning test in 1974 than did his 1949 counterpart. But how could this be true if our brains were producing our minds? There was no major change in brains between 1949-1951 and 1974-1975. So the Flynn Effect is actually hard-to-explain under the assumption that brains make minds. The Williams essay then tells us, “A recent study of 1,475 adolescents across Europe reported that intelligence, as measured by a cognitive test, was associated with a panoply of biological features.” But if you actually look at that study, you will find it reports only a very slight relation between intelligence and the brain. For example, the authors say that a difference in gray matter in the striatum can account for less than 1% of the variation in scores, and that a difference in “polygenic scores” can account for less than 1% of the variation in scores. After doing some more statistical analysis, some of these faint effects seemed to disappear. The authors state “in this additional analysis gray matter in striatum showed no significant association” with IQ. At the end of their paper, the authors state this about their study: “The effect sizes studied are small but in the same range as previous studies (2.4% in previous structural imaging studies and up to 4.8% for previous polygenic scores).” Such very small percentages (of between about 1% and 3%) certainly do not add up to any good evidence that your intelligence comes from your brain. One reason you should not at all be persuaded by such small effects is that they could easily be results that won't be replicated on a consistent basis. Imagine 20 different teams of neuroscientists comparing some group of brain scans and genomes to the corresponding IQ scores. If one of the teams of scientists check for 100 different things, they could easily get a few slight apparent correlations purely because of random variations in data that had nothing to do with a real biological root of intelligence. It also could be that 9 out of 10 scientists looking for such correlations find nothing, and don't bother to publish their data (or have their papers rejected because of the bias against null results). The 1 in 10 teams of scientists getting a slight correlation because of random variations might be the ones who end up getting their papers published. Later Williams refers to a study by Richard Haier that scanned the brains of people while they were problem solving. But she quotes Haier as saying, “The people with the highest test scores actually showed the lowest brain activity.” Oops, this is the exact opposite of what we would expect if our brains were producing our minds. Williams states, “Some researchers are beginning to question the premise that the key to intelligence can be seen in the anatomical features of the brain.” Again, this is not something that inspires confidence in the dogma that brains make minds. Later in a box labeled “Parsing Smartness,” Williams confesses, “The biological basis for variations in human intelligence is not well understood.” Why would that be if our brains were producing our minds? In the same box we read this: “One well-known hypothesis, backed by evidence from brain scans and studies of people with brain lesions, proposes that intelligence is seated in particular clusters of neurons in the brain, many of them located in the prefrontal and parietal cortices.” But you do not explain how a brain could produce intelligence by pointing to some part of the brain, and saying that such a part is where the effect is coming from (just as I would not explain how I could produce a thunderstorm if I told you that my thunderstorm creation ability comes from my left thumb). The long-stated claim that intelligence and judgment comes from the prefrontal cortex is actually not well-supported by facts, as you can read about in this long discussion of the evidence related to this claim, which discusses many things that contradict such a claim. Researchers have also proposed a slew of other hypotheses to explain individual variation in human intelligence. The variety of proposed mechanisms underlines the scientific uncertainty about just how intelligence arises. Referring to the problem of how intelligence arises, Williams states, “Santarnecchi finds himself frustrated that research has not yielded more-concrete answers about what he considers one of neuroscience’s central problems.” Oops, sounds like our neuroscientists don't really have any concrete reasons for believing in biological roots of intelligence. Later the Williams essay states, “Von Stumm is skeptical that genetic data will yield useful information in the near term about how intelligence results from the brain’s structure or function.” Such a statement seems to clash with the author's claim that there are biological roots of intelligence. Williams later states the following: “In a meta-analysis published earlier this year, a team led by then University of Edinburgh neuropsychologist Stuart Ritchie (now at King’s College London) sifted out confounding factors from data reported in multiple studies and found that schooling—regardless of age or level of education—raises IQ by an average of one to five points per year.” If that's true, even after reaching adulthood each year of schooling raises your IQ. But why would that be so if your brain was generating your mind? An adult's brain doesn't get bigger when he is being educated. In fact, the density of synapses in the brain sharply declines between the age of 12 and 22. Next Williams refers to “the biology of intelligence that remains a black box.” As every computer programmer knows, a black box means some mysterious thing you don't understand. Similarly, Williams later refers to the “intractable phenomenon of intelligence.” But why would our neuroscientists still not understand it if brains actually made minds? Shawna Williams was supposed to be writing a long essay that would sum up all the best evidence that intelligence comes from the brain. But she fails to produce any convincing evidence for that dubious claim. And along the way, several of the statements and quotes in her long essay give us reason to doubt that there is any such thing as “biological roots of intelligence.” It's not Shawna's fault. The problem is that the evidence just doesn't really suggest that brains make minds. While there are a few little things here and there which may seem to whisper that maybe your brain makes your mind, there are other things which speak in a louder voice that brains do not make minds. Among many such things is the fact that hemispherectomy operations (in which half of a brain is removed to stop seizures) do not usually have a major effect on intelligence, and the fact that a French man managed to long hold a job as a civil servant even when 90% of his brain was destroyed by disease. Ever since DNA was discovered in the middle of the twentieth century, many scientists have tended to exaggerate and overstate its importance. Ignoring the physical limitations of DNA, which put the most severe limit on what information can be expressed in DNA, many scientists have trumpeted DNA as some “secret of life” or “blueprint” for constructing humans. Many scientists have spoken as if DNA is some “master molecule” that determines our health, our lifespans, our physical shape and even our mental characteristics. Actual observations have repeatedly clashed and conflicted with such exaggerated ideas. A recent scientific study exposes how far off scientists have been in their exaggerations about genes. The study is about how much genes determine a person's lifespan. Based on all the hype we have heard about DNA being “the secret of life” and “the master molecule,” you would think that perhaps 60% or 70% of the variation in lifespans between different people can be explained by their genes. Scientists had previously estimated that only between 15% to 30% of the variation in lifespans between people can be explained by genes. But the new study tells us that such estimates have been way off – not because they are too low, but because they are too high. The study estimates that “well less than 10%” of the variation in lifespans between different people can be explained by their genes. Table 1 of the paper gives estimates of only about 5% for how much the variation in lifespans between different people can be explained by their genes. So apparently previous scientists have overestimated by between 300% and 600% the degree to which genes affect lifespans (as estimating a 5% effect as a 30% effect is an overestimation of 600%). Are there any other “gene whoppers” our scientists have been telling us? There are a few of these. One is the frequently stated idea that instincts or behavior tendencies might be the result of genes. It is easy to see why that cannot be true. DNA basically lists only the chemical ingredients of proteins. Essentially the only thing you can state in DNA are which amino acids make up a protein. There is no way in which DNA could be expressing anything like behavior rules. There is no way in which anything like a rule such as “be afraid of snakes” could be expressed in DNA. Another erroneous idea frequently advanced by biologists is the idea that DNA is a blueprint for constructing an organism. There are a number of powerful reasons why this idea must be false, which I explain in detail here and here. The most powerful reason is that DNA uses a minimalist language in which basically the only words are the names of 20 amino acids. Such a language is sufficient for expressing the linear sequence of amino acids that make up a polypeptide chain, but completely insufficient for expressing complex three-dimensional information such as the shape and structure of an eye or the shape and structure of a reproductive system. Another powerful reason why DNA (and the genes it is made of) cannot be a blueprint for a human body plan is that human DNA has been thoroughly analyzed, through huge scientific studies such as the Human Genome Project and the ENCODE project, and we have found no evidence that human body plan information is stored in it. Also, we know that some species with vastly simpler structures than humans have many more genes than humans. The simple rice plant has thousands of more genes than humans, the opposite of what would be true if genes stored body plans. The total size of human DNA is megabytes is much smaller than the total size of the DNA in megabytes of many plants. The information in DNA is one-dimensional information, and one-dimensional information is completely insufficient to specify the three-dimensional information needed to specify a body plan. The total size of the human genome is only about 700 megabytes, much less than the genome size of a tomato plant, and way too small to store a specification of a human. A modern CT scanner uses three times more megabytes just to store images of a body that don't even include functional information. Massimo Pigliucci (mainstream author of numerous scientific papers on evolution) has stated that "old-fashioned metaphors like genetic blueprint and genetic programme are not only woefully inadequate but positively misleading." Body plans and phenotypes are specified by DNA. Mutations in DNA cause one species to evolve into another species. The first claim is false. Body plans and phenotypes are not specified by DNA. It is therefore impossible that we could ever explain the evolution of one species into another species merely by assuming DNA mutations, regardless of what effect natural selection had on such mutations. It is conceivable that there is some undiscovered mechanism of information storage or hereditary that might allow one species to evolve into another, but the idea that this occurs merely because of changes in DNA cannot be correct. We can imagine a device that scientists would have invented by now if it were true that genomes specify phenotypes or body plans. The device (which could be a computer program or collection of computer programs) is one that we can call a general phenotype prediction machine. The device would take as an input the DNA data of a particular organism. The device would then be able to predict what type of macroscopic organism that DNA corresponds to. So if you gave the device the DNA data of a mouse, the device would be able to describe a mouse-like organism. 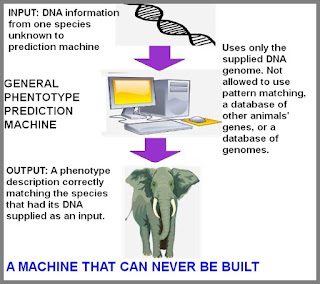 And if you gave the device the DNA data of an elephant, the device would be able to predict an elephant-like organism. But an important rule of this device is that it could not simply do a pattern match using a database of stored genomes. So the device could not simply check its database to determine which of its many stored genomes was the closest match to the genome supplied as an input. Instead, the device would actually have to deduce the characteristics of the organism based on information in the input DNA. So, for example, if the device were to predict that the organism had two arms, it would have to find some information in the input DNA that specified or implied such a conclusion. This phenotype prediction device would have to list the characteristics that it predicted that the organism had, and also justify each characteristic that it listed. So if the device declared that the predicted organism had two eyes rather than six eyes or no eyes, it would have to explain what it found in the input DNA to justify such a conclusion. And if the device declared that the predicted organism had two wings rather than zero wings, the device would have to explain what it found in the input DNA that specified such a thing. 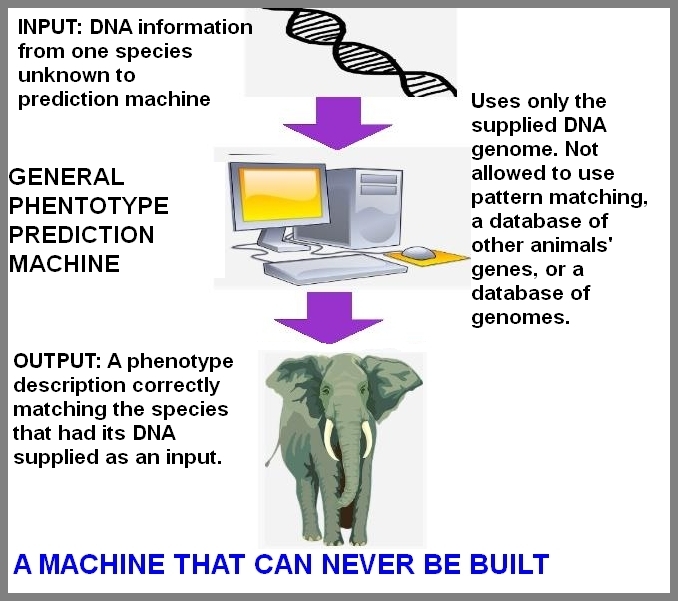 No such general phentoype prediction device like I have described will ever be invented and successfully used, unless scientists cheat by sneaking in pattern matching using a database of stored genomes. This is because genotypes do not specify phenotypes. Or to say pretty much the same idea, DNA does not specify body plans. Neither DNA nor genes nor genomes contain a blueprint or set of instructions for building an organism. Shockingly, we do not at all know where phenotypes or body plans come from. You will sometimes hear people say that phenotype is caused by a combination of genotype and "the environment," but this is misleading. There is nothing in the environment of a newly fertilized ovum that might cause it to turn into a human rather than some very different biological form. An honest and candid statement about the source of phenotypes or body plans would be to say that they must come mainly from some very important facet of reality that we do not understand. You can call it the gigantic missing link of biological life. But since scientists do not like to admit that their biological knowledge is only fragmentary, you will continue to hear lots of “DNA is a body blueprint” falsehoods in the years ahead. We have been grossly misinformed about DNA and genes for a long, long time, and such misrepresentations will not soon end.